With some recovery shown in the Q1, BlackBerry also revealed it next generation of handsets. Stealing the show was the all new and unique BlackBerry Passport. With the first ever square shaped screen rather than the conventional rectangular one, BlackBerry has definitely stirred the debate of a new trend. Not only have they sufficed it well over their blog, but also mentioned the fact that why are the square shaped screens better than the rectangular. Taking the example of IMAX into consideration, the blog further mentioned, "Consider how IMAX movies begin with the screens set to a more traditional 16:9 aspect ratio projection for conventional movie trailers, before expanding to their true dimensions (and the audience goes, “ooh”). The Passport is like the IMAX of productivity, and you don’t have to sacrifice screen real estate, vertically or horizontally." In being designed from the ground up for the working professional in mind, the BlackBerry Passport will be the perfect device for many scenarios. For architects and mortgage brokers, imagine being able to look at full designs and schematics on the go, and still being able to handle piles of virtual paperwork with ease. In the healthcare field, picture being able to go through x-rays or medical documentation in the office with a patient, on a device that can maintain the necessary security standards for HIPAA compliance. In the area of finance, how about navigating your Web-based trading platform on your device? With enough screen real estate, you can clearly see the fluctuation in your stock and determine whether it’s time to sell. Writers will truly be unlocked with a navigable keyboard, while the large square screen enables faster content development and delivery. When you are looking to type stories or notes, your virtual keyboard doesn’t cover most of your screen. 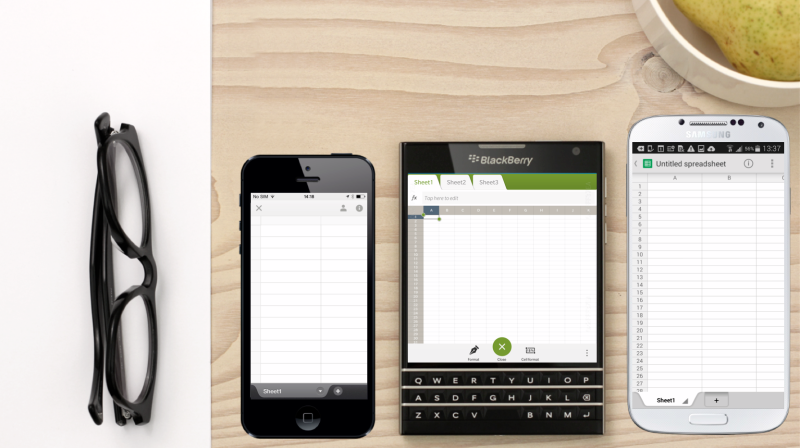 The BlackBerry Passport will take you to new places on the best business trip you’ve ever had. We want you to imagine the possibilities. What do you think of BlackBerry Passport?